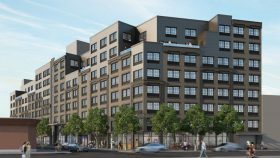 Located within walking distance to the Barclays Center and Prospect Park, a newly constructed building at 555 Waverly Avenue in Clinton Hill has 38 affordable apartments up for grabs. The eight-story building, situated between bustling Fulton Street and Atlantic Avenue, features amenities like on-site parking, a landscaped roof deck, indoor lounges and a 1,500-square-foot fitness center. 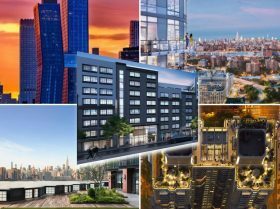 Qualifying New Yorkers earning 60 percent of the area median income can apply for the units ranging from $735/month studios to $888/month two-bedroom apartments.